I was pretty happy with the larger lot this round - I'm used to building big things! However, it ended up draining a lot more of my time than I intended - I wish I'd counted how many hours I've spent on it, because I know I started the day after the foundation was posted and only just finished this morning; and I've not had much else on so I've been able to put a lot of time in most days. Hopefully all the effort shows. I've tried to put a lot more detail in this than I usually do; I even went and downloaded CC from - gasp! - somewhere other than MTS so I had more clutter. And I'm aware of a few CFE-related lighting issues surrounding the split level living area, however I really need to finish this off this afternoon so they'll have to do. Ned and Kelly Taylor had accumulated quite a large amount of savings throughout the early years of their marriage, having successful careers as an engineer and scientist respectively. When they both received offers to transfer their jobs to Sunset Valley from the city a decade ago, they grasped the opportunity and rented a series of properties in the town while they got to know the area. When they were approached by a real estate agent with the offer of owning the first home in a new development on the outskirts of town, they once again jumped at the opportunity provided to them. Already having a young daughter, Alice, and with two more kids on the way, they decided to delve into their savings and build a house that could support the large family they both wanted to have. 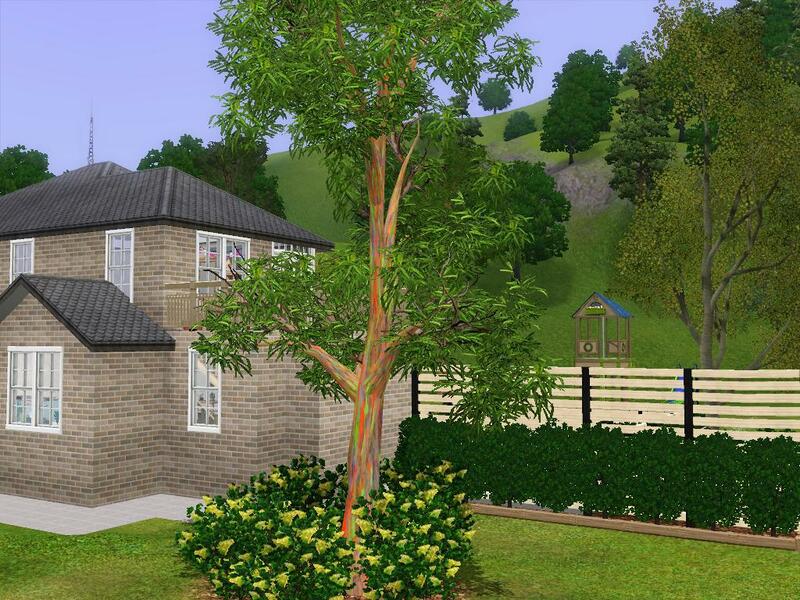 Thus, this magnificent 3 bedroom plus nursery, 2.5 bathroom house was built. Although it has been 6 years since their house was built, a sharp rise in property prices has meant they are yet to have any neighbours, however Kelly has opened up their house to an old friend from the city looking to build on the block beside theirs. Her guided tour of the family home is below. "Hey Trish, nice to see you again! Welcome to the house! Come on in and I'll show you around"
"We've got the dining area just inside the front door - we brought that table over from the city, it's a pain in the neck to lug around to different rentals but I love it. Made from a native wood of some sort. I had to use it as a feature in here." "Excuse the mess in the kitchen - you know how it is with young kids. Even when they're off at school, rarely enough to clean up after them properly. God forbid they might wash something themselves." "Got a laundry and half-bath in here. It's a poky little room, but it fits what it needs to and gives somewhere for guests to use the bathroom on the main floor." "Ned and I decided to keep the master bedroom pretty simple because honestly, we rarely spend any time in here. We're always with the kids." "Of course, I had to bring some of my beloved plants into the bedroom, though. The number of times the cat has knocked those flowers off the dresser... Hey, didn't you give me that poster over there? Yeah, you did! Well, it's still being used!" "Our little ensuite, full of all our clutter... Ned almost has more than me, actually. Okay, he doesn't, mine's just all in the cabinet. But he uses more product in his hair than I ever have." "Excuse our little dumping ground table under the stairs... Let's head up, you can check out the kid's rooms and things up here." "We put the main bathroom up with the kids because they're the ones who use it most. Oh, yes, this is Soots, our cat. I'm more of a dog person myself, but the boys love her." "Nursery in here - no one in it at the moment, but I'm expecting another one soon! Pretty sure this will be the last. We'll have to convert this into a very small bedroom in the future, I guess..."
"This is the boy's room. They actually don't mind sharing, which surprised me. I heard a lot of stories about twin brothers being dead seat against each other but they seem to get along pretty well, touch wood. Tristan's got this half - he's into computers, movies, animation, all that technological stuff that we have no hope of ever understanding." "Michael gets the other half - he's more into planes, cars, all that stuff. And whatever that blue thing is - apparently it's a character from some game, he won it at the local fair a couple of years ago. It creeps me out, to be honest." "This is Alice's room. She's just started high school this year, actually. Seventh grade. Growing up!" "She loves those lanterns on the window. Obessed with them. Wanted them around the whole room, but they were way too overpriced for that. She keeps saying something about wanting a tumbler bedroom? No idea what that means..."
"We built this balcony out here because you really do get a good view out over the town and the undeveloped areas from this estate. A lot more greenery than we ever saw in the city. Tristan loves the telescope, he spends many a night standing out here looking for things." "We decided to put in the split level living area to separate it from the kitchen/dining a bit, and so the stairs down to the basement didn't take up so much space. You've caught it on a good day - usually there's piles of paper everywhere. Ned must've taken his work to work, for once." "We've got just some recreational stuff down here in the basement - and don't ask me where all the traffic signs are from. All Ned's doing. Probably illegal, but he's had them for ages and he absolutely insisted they made good decoration down here"
"Put in a gym because the local one is pretty shabby. We don't use it much, though - prefer to get exercise out on the fresh country air." "The study is my territory. The kids used to get in here for the computer, but we got a couple laptops for them now so I stay in here. I think there's a few of their game disks still loose under the desk - occasionally I run over one and have to pray it's not something they'll ever want to play again..."
"This is the kid's playroom. I designed this when we first moved in and it hasn't changed much since - thankfully, they liked the bright colours just as much as I do! They have hours of fun in here, and it's easy to keep and eye on them when they're in one place instead of spread out all over the house. Definitely recommend putting one in your place." "We have our little alfresco area just out from the exterior basement door - there was this weird hole in the block when we bought it, so we just worked with i-oof! Yes, hello, Boomer. This is our dog, a gorgeous blue heeler. The best part about moving out of the city was being able to get this guy." "We had to put a pool in, with all this space. We love it. Use it almost every day from September through to March or April. Of course, when you move in, you'll all be most welcome to come over and use it. I'm sure the kids would love some more people their age to splash around with them." "Now on to my beautiful garden! All native, of course. 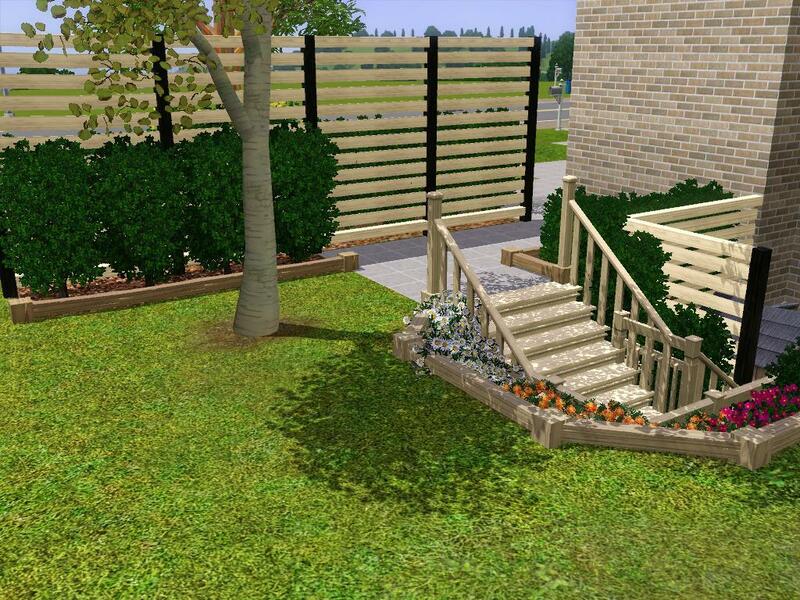 We've used these screening fences to differentiate the backyard from the front, a bit." "Play equipment for the kids - can never go wrong with this stuff!" "I had to put a rainbow eucalypt in. This one out the front is spectacular, don't you think?" "We've got one of the standard 'two car' garages. They barely fit two cars, of course. Go bigger if you can." "Clothesline out the back. There is so much space out here - nothing like our little apartments back in the city." "This soccer net wasn't cheap, but boy does it get used. Family soccer matches are a regular occurrence. Usually I'm on the winning team, with a bit of help from Boomer. Soot is the only one that doesn't get involved - she prefers to play soccer with her food all over the dining room." "And lastly, we've got more garden out the back. It was really difficult to get everything to work because there's some pretty steep drops just behind the fence, but I think I did a pretty good job of covering them." "Anyway, thanks for coming to have a look. We really hope you end up moving into the estate soon - it'd be nice to have some permanent company here!" Form & Function Cluttery - Flour&Sugar, Cereal 2, Pasta In Jar, Peppers, Spice Rack.